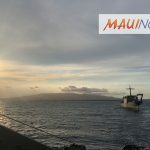 Maui Now : How Long Will the Current Kīlauea Volcano Eruption Last? 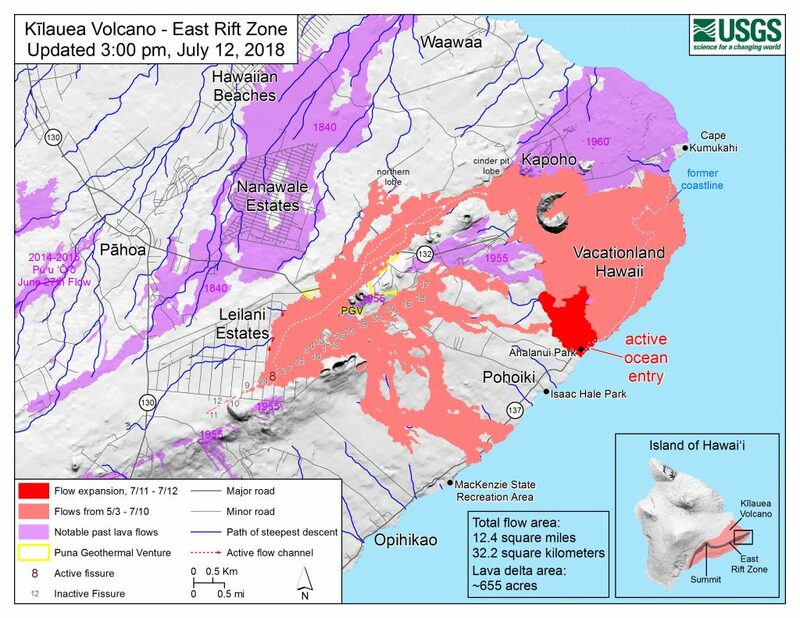 A US Geological Survey report to Hawai‘i Volcanoes National Park on June 29, 2018, addressed time frames of activity for Kīlauea Volcano’s summit and Lower East Rift Zone. 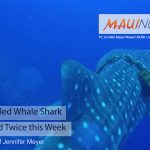 The question of how long this current might this last is of concern to everyone—especially, of course, Big Island residents in the line of Pele’s fire, those affected by the regularly exploding summit and residents and visitors suffering from the effects of volcanic gases and ash. 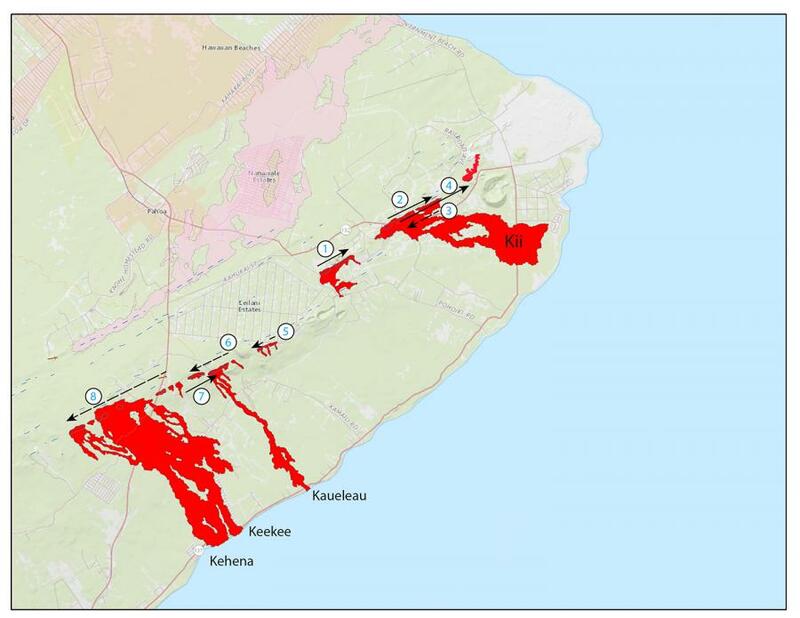 The report explains that the continuing deflation of Kīlauea’s summit storage system is occurring in response to the release of magma to the LERZ at a higher rate than the reservoir is being resupplied from its deep mantle source. If summit magma is predominantly feeding eruptive activity in the LERZ rather than filling storage space in the crater, then summit activity could cease soon after the LERZ eruption ends. At this time, lava output appears steady. But the report also said that is possible that magma will continue to fill storage space in the rift zone, so that summit subsidence will continue even after the LERZ eruption ends. Alternatively, summit subsidence may greatly slow or even stop if the LERZ eruption decreases in vigor, or a new pressure equilibrium between the summit and LERZ is reached. For these reasons, it is not possible to forecast the duration of summit subsidence. It is most likely that it will continue for weeks to months, and it is possible—although less likely—that it will continue longer. Geologists have compared the LERZ eruptions to an eruption in 1955. HVO Geophysicist Jim Kauahikaua said that the 1955 eruption caused coastal community evacuations from Kalapana to Kapoho. The eruption, which opened 24 separate volcanic vents, lasted three months until its abrupt ending in May of 1955. 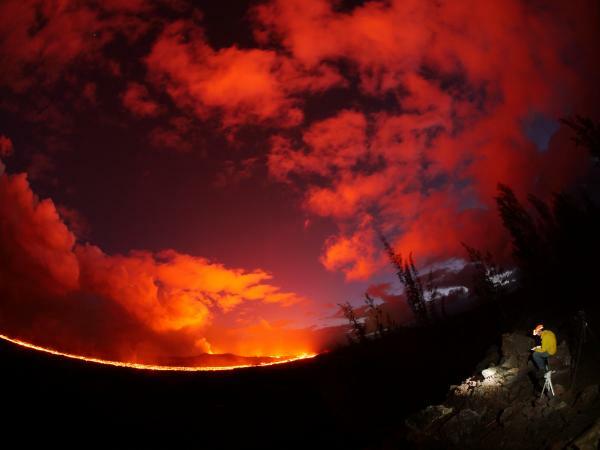 Almost 4,000 acres of land were covered in lava. More hazardous behavior is possible at any time, and large-scale hazardous caldera collapse is a possible future outcome, although it is considered to be very unlikely and should be preceded by detectable warning signals. How will we know when the hazard has passed? Hazards may remain present at the summit for months or longer even after its subsidence and related seismicity stops. Earthquakes will likely occur at elevated but decaying rates, ground cracks may worsen and rockfalls will continue. At present, the most likely course of activity for the immediate future at the summit of Kīlauea Volcano is continued subsidence of the caldera floor, episodic slumping into Halema‘uma‘u, moderate earthquakes and small ash plumes. The duration of this activity may be related to the duration of the LERZ eruption, but cannot be confidently predicted. More hazardous explosive eruptions related to the ongoing subsidence are unlikely, but possible. The report stressed that it is important not to underestimate the ability of volcanoes to evolve rapidly and in unanticipated ways. Hawaiian Volcano Observatory should recognize these warning signs by direct observation and instrumental monitoring and, should they be detected, will alert authorities and the public. Historical eruptions in Kīlauea’s LERZ in 1955 and 1960 lasted 88 and 38 days, respectively. 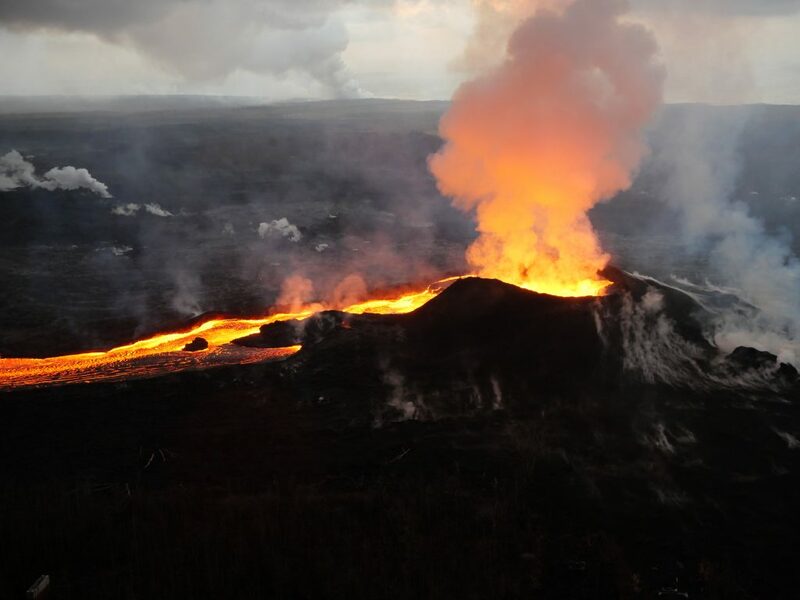 The current eruption started on May 3, 2018, in Leilani Estates. To date, July 13, the eruption has lasted 71 days. Click here more on the geology and history of Kīlauea Volcano. UPDATE: How Long Will This Eruption Last?